ATHRA: Doctors who prescribe nicotine. We need YOU! Do you know of any doctors who write nicotine prescriptions for vaping? Please send us their details. ATHRA gets many requests from smokers who want to switch to vaping legally but are unable to get a nicotine prescription. We are preparing a list of Aussie doctors who support vaping and can provide a prescription when clinically appropriate. Why won’t Aussie doctors prescribe nicotine? Doctors are trained in traditional quitting strategies, such as the use of medications and counselling. However, very few are informed about vaping and other tobacco harm reduction methods. Doctors get most of their information about vaping from media stories, typically featuring sensational headlines and misleading information. A balanced view is rarely presented. Furthermore, in spite of the convincing evidence, vaping it is not supported by most Australian health organisations and medical associations. In fact, Australia is the only western democracy NOT to endorse vaping! This undermines the doctor's confidence in vaping. Smokers who can't quit are faced with a choice between a 2 in 3 chance of dying from smoking or switching to a far less harmful alternative, which is illegal without a nicotine prescription. Is it legal to vape? It is an offence to sell nicotine liquid in Australia so most users import nicotine from international websites. It is legal to prescribe nicotine? It is completely legal for doctors to issue nicotine prescriptions where clinically appropriate, for example for smokers who have been unable to quit with conventional therapies and want to switch to a far less harmful nicotine product. 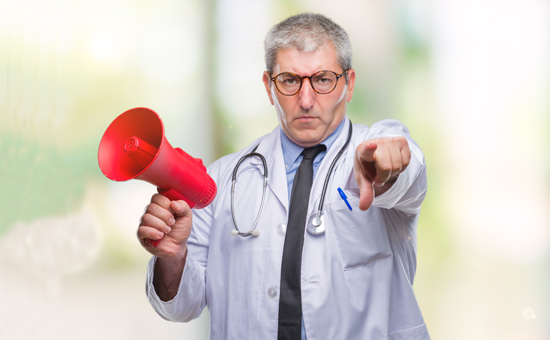 As for all other medical treatments, the doctor needs to provide ‘good medical practice’ in line with the Medical Board of Australia’s Code of Conduct. Generally, this requires safe and effective practice making the patient’s needs the first priority. Ideally this involves a face-to-face consultation, taking a history and discussing all the available treatment options, including their potential benefits and harms. Under the AMA Code of Ethics, doctors have an ethical responsibility to consider the needs of their patients first and to provide the best possible care for patients at each encounter. If a smoker can’t quit, doctors should inform them of all treatment options, including tobacco harm reduction with vaping, which can be lifesaving. Withholding a legitimate treatment option that could prevent a life-threatening illness is a breach of their obligations. How do you write a nicotine prescription? Doctors have NOT been trained in how to prescribe nicotine. Furthermore, the necessary instructions are not included in the prescribing software they use. The good news is that this information is provided for doctors on the ATHRA website here. Doctors need to log in by providing their medical details and all will be revealed! Doctors are also welcome to contact ATHRA for further information or clarification by email or phone, 0411 130 372. Please send us the contact details for any doctor who could help, and we will contact them about including them on the list.